I am so in love with blushes. Like obsessed! They are just so pretty and there are so many shades out there that you can choose from. 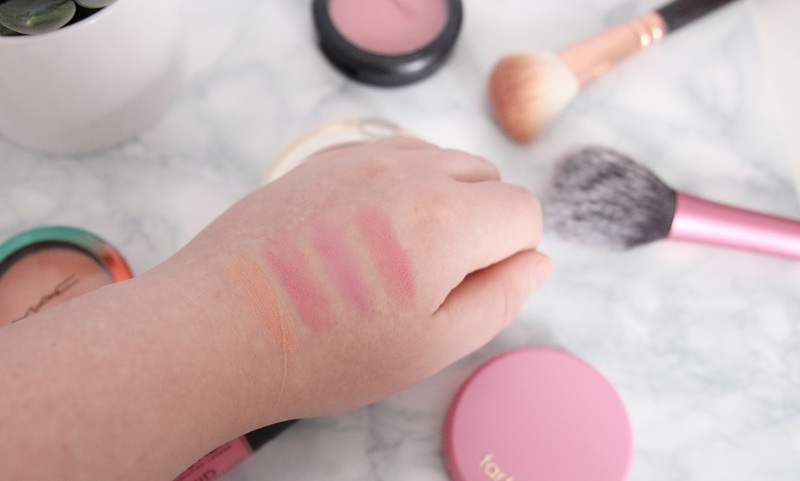 I have 5 blushes here that are all different in shades that I adore so I thought I would share them with you all! 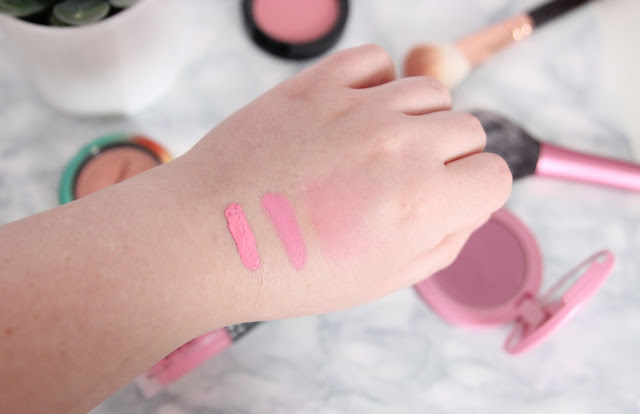 Make Up Revolution Liquid Blush - O'boy | Probably one of the most pigmented blushers I've ever used! It's a liquid blush and you literally need half a pea sized amount to use on both cheeks. You can see from the swatch below where I applied it straight from the tube, slightly blended and then finally blended out all together. For £1.00 these blushes are beautiful!! MAC Blusher - Fleur Power - Satin | My first ever MAC blush and the addiction began from that purchase! It's a beautiful vibrant dusky pink. It can be built up to a much brighter pink but I love to use it subtly. It's so pigmented and not quite matte so it still give me the 'this is my real cheek colour' look on my face! Mac Blush - Crisp Whites | Not going to lie the packaging caught my eye. I was like a magpie and headed straight for the shiny rack as soon as I lay eyes on it! It's described as a soft tangerine orange and for someone like me if I'd have read that I'd have never bought it! However I can vouch for this products its more of a very soft - almost skin tone peach shade. It's a pretty! Milani Blush - Tea Rose | This is the type of blush I would wear on a day to day basis that gives me that lovely flushed look. It's a really nice natural pink that blends sooooooo nice! It doesn't look like you've applied a tonne of blush to your face and it's flawless. Not to mention the actual blush is in the shape of a rose!! Tarte Amazonian Clay Blush - Flush | I'm not a berry toned fan. In fact I don't suit the berry lips and anything purple for that matter, it makes me look like a corpse! However with this blush which is described as a 'pinkish berry' it's really not all that purple but with just the tint of a purple tone. It's a cool toned pink and suits my pale skin so well! 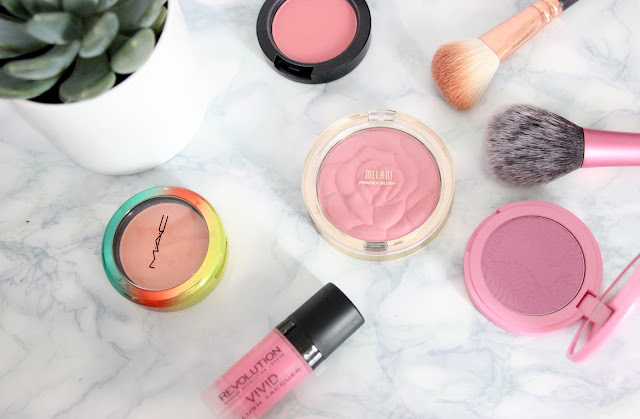 So there you have my top 5 blushes at the moment! If you liked this post then you can catch up with more beauty and lifestyle posts on my blog here. Come and say hello! Make sure you head over to Caitlin's blog and leave a comment.